Summary: Researchers have identified 133 genetic variants associated with an increased risk of developing glaucoma. A study led by scientists from King’s College London, University College London, Massachusetts Eye and Ear and Harvard Medical School has identified 133 genetic variants that could pave the way for a screening program to identify the world’s leading cause of incurable blindness. The breakthrough represents a major advance in the fight to tackle the, degenerative condition, which has virtually no symptoms in the early stages and affects 480,000 people in England and millions worldwide. To better understand the development of glaucoma, scientists studied 140,000 people drawn from the UK Biobank and EPIC-Norfolk. Eye pressure readings were compared with a DNA analysis of each patient to assess how likely it was that they would develop the condition. Elevated pressure in the eye is the most important risk factor for glaucoma and is created by the continual renewal of fluids. By comparing the pressure test results with a genetic analysis of the many common, small variations in DNA that contribute a tiny amount to overall eye pressure, the team was able to identify 133 genetic variants in the DNA of those who had high pressure readings, and so were at highest risk of developing the condition. The genetic variations were able to predict whether someone might develop glaucoma with 75% accuracy. Co-author Dr Anthony Khawaja from the NIHR Biomedical Research Centre at Moorfields Eye Hospital NHS Foundation Trust and UCL Institute of Ophthalmology, said: “With this new knowledge, we are now more able to predict the risk of an individual developing glaucoma. The predictive genetic markers could be measured as early as birth, even though glaucoma develops later in adulthood. The genetic variations were able to predict whether someone might develop glaucoma with 75% accuracy. NeuroscienceNews.com image is in the public domain. Dr. Janey Wiggs, co-author from Massachusetts Eye and Ear and Harvard Medical School said, “This study demonstrates the enormous power of large datasets allowing detection of these important genetic risk factors. There are virtually no symptoms of glaucoma in the early stages and no pain is associated with increased eye pressure. Vision loss begins with the loss of peripheral vision, although this may go unnoticed as sufferers may compensate for this unconsciously, by turning their head to the side and may not notice anything until significant vision is lost. Funding: National Institute for Health Research, Moorfields Biomedical Research Centre funded this study. Original Research: Abstract for “Genome-wide analyses identify 68 new loci associated with intraocular pressure and improve risk prediction for primary open-angle glaucoma” by Anthony P. Khawaja, Jessica N. Cooke Bailey, Nicholas J. Wareham, Robert A. Scott, Mark Simcoe, Robert P. Igo Jr, Yeunjoo E. Song, Robert Wojciechowski, Ching-Yu Cheng, Peng T. Khaw, Louis R. Pasquale, Jonathan L. Haines, Paul J. Foster, Janey L. Wiggs, Chris J. Hammond & Pirro G. Hysi in Nature Genetics. Published May 21 2018. King’s College London “Genetic Variants That May Predict Glaucoma Risk Identified.” NeuroscienceNews. NeuroscienceNews, 25 May 2018. 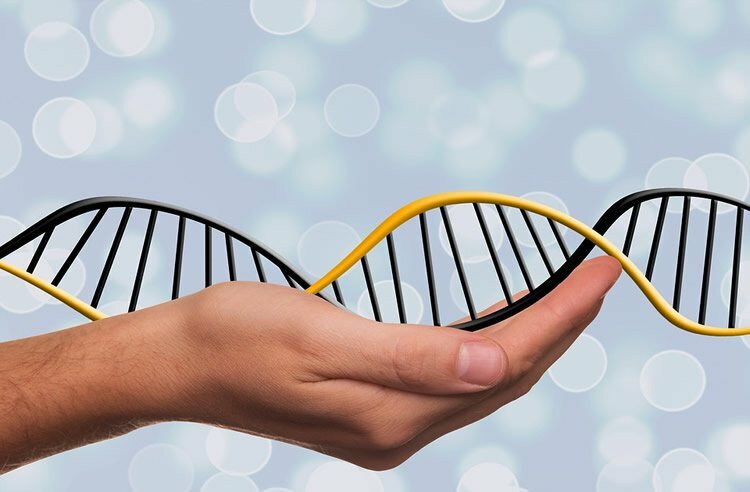 King’s College London “Genetic Variants That May Predict Glaucoma Risk Identified.” http://neurosciencenews.com/genetics-glaucoma-risk-9144/ (accessed May 25, 2018). Glaucoma is the leading cause of irreversible blindness globally1. Despite its gravity, the disease is frequently undiagnosed in the community2. Raised intraocular pressure (IOP) is the most important risk factor for primary open-angle glaucoma (POAG)3,4. Here we present a meta-analysis of 139,555 European participants, which identified 112 genomic loci associated with IOP, 68 of which are novel. These loci suggest a strong role for angiopoietin-receptor tyrosine kinase signaling, lipid metabolism, mitochondrial function and developmental processes underlying risk for elevated IOP. In addition, 48 of these loci were nominally associated with glaucoma in an independent cohort, 14 of which were significant at a Bonferroni-corrected threshold. Regression-based glaucoma-prediction models had an area under the receiver operating characteristic curve (AUROC) of 0.76 in US NEIGHBORHOOD study participants and 0.74 in independent glaucoma cases from the UK Biobank. Genetic-prediction models for POAG offer an opportunity to target screening and timely therapy to individuals most at risk.